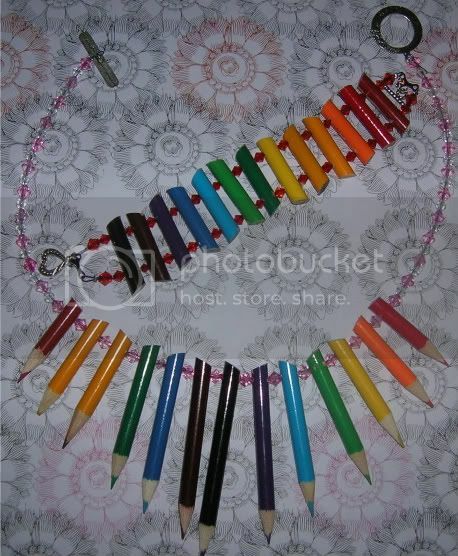 A rainbow pencil fan-style necklace! 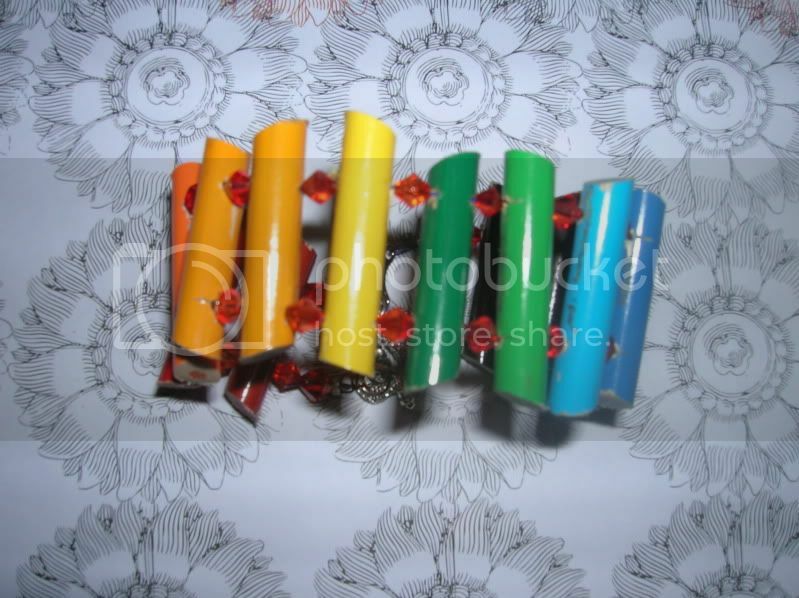 I used a packet of coloured pencil and 1 HB (the yellow one 3rd from the left) that I sawed to size and drilled at the top. The zig-zag was a bit serendipitus. This was my first time using a saw so it turned out wonky. I used the angle to my advantage to get the cool zig-zag effect. 4. I like drilling through pencils because of the lovely puff of colour that occurs when you hit the lead. I hope you guys like this. I'll update (in october!) when my friend gets her present! I love this idea! My mom is also an artist and this would make a great gift for her! Thanks for the inspiration! Just gorgeous! Your friend will be thrilled! 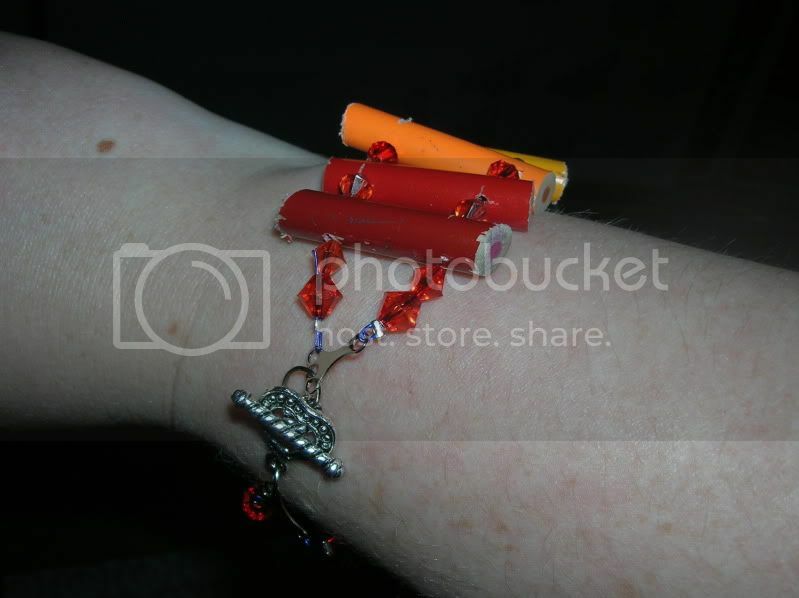 The necklace is cute and so appropos to your friend's request, but what I loooove is the bracelet!!! 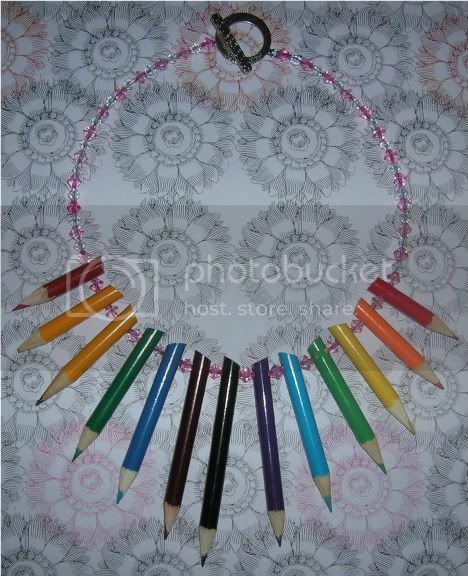 Very crafty, colourful and cute! 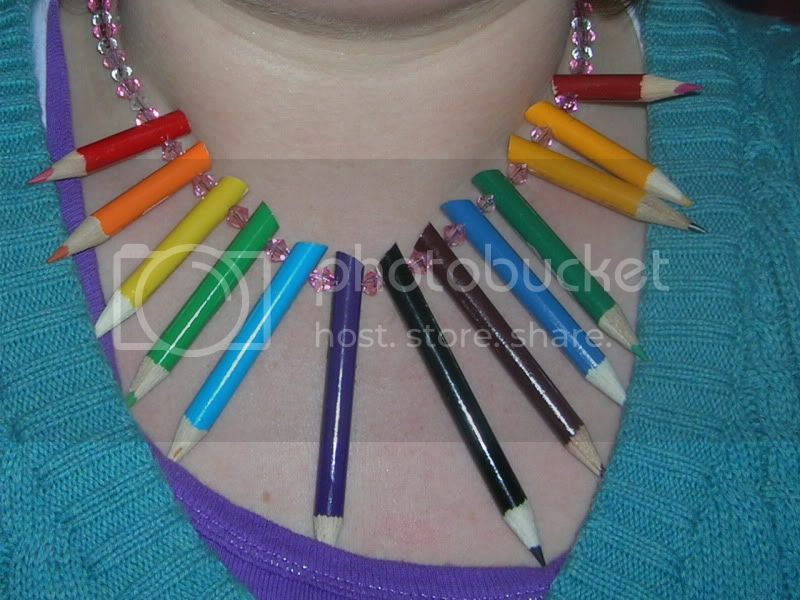 I like your project but I would cut off the points off the pencils in fear of being stabbed. 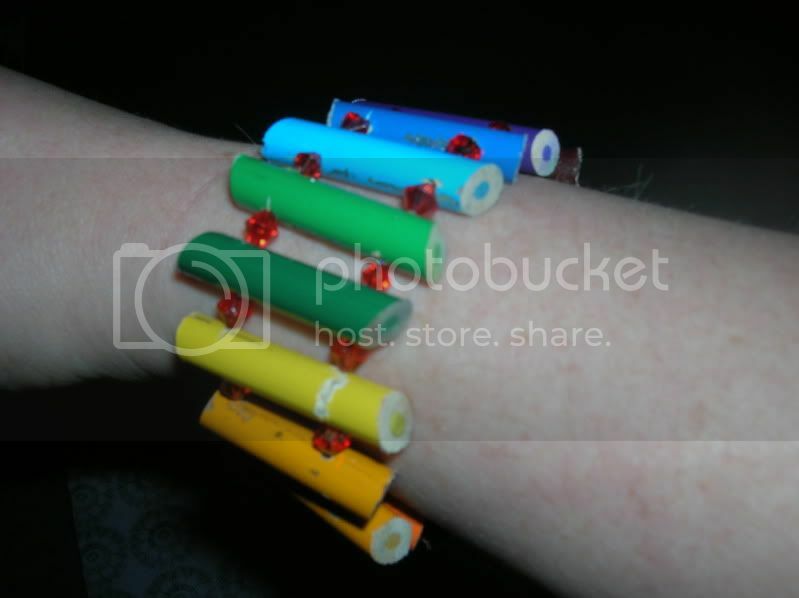 Or you can see about fitting beads at the ends and glueing them on. Otherwise great job. the colors are so pretty, and the bead at the end is a great idea!! very nice! Nice! Did you use a hand drill or a power drill? I find it's way easier to do little fiddly things with hand tools. I know some Arty girls that would LOVE this set. I might have to find a drill and get crafty. Yes, I used a hand drill, power drills scare me. I used a craft knife to make a groove to fit the drill bit into to avoid slipage. I've worn it briefly a couple of times for photos and sizing and not found stabbage to be an issue. The coloured leads are pretty soft and the knecklace length has enough give to simple move instead of stabbing, but thanks for the advice.